July : The school holidays were still in full swing, the summer was not far past it’s peak and here we were sat in my car in a muddy field between the main England-South Wales railway line and the River Severn, listening to the rain on the roof while a truly unispired commentary on the PA system did it’s best to lull us to sleep .I was attempting to introduce my two girls to one of the branches of motor sport I took part in long before either of them was born. 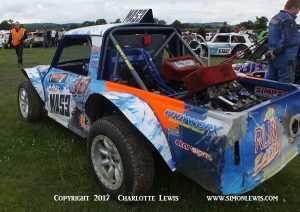 Autograss. I’m not sure I succeeded. I said in advance they needed wellies as it might be a bit muddy… A bit? Summer 2017 was not great in this part of the world but even by it’s lame standard it rained a awful lot on this partcular day . There were short bursts of glorious sunshine, but the rain was definately winning. 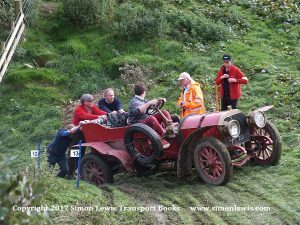 Give them their due, they both showed a lot of patience as we waited for things to get underway after yet aother eed flagged race and then watched a virtual slo-motion version of the sport on the gripless slurry where once there had been lush grass. 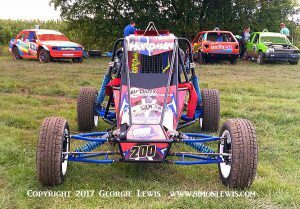 They liked the idea that youngsters of their age could compete in this sport and they liked the wild and colourful nature of the cars in the pits…and took a lot of good photos as we looked round before the event got underway, but eventually the rain and the mud just beat us all down and we left early. Yet another big downpour was homing in on the track with remarkable accuracy. 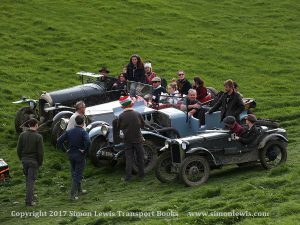 It made me think back to the Welsh Trial the previous autumn where some of this mud would have actually made things more exciting. 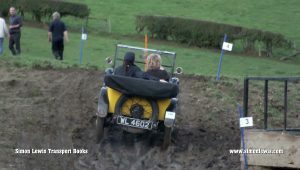 Back then we’d had a dry spell and it was just a bit too firm under foot, which made the ‘sections’ a little too easy and undramatic for most of the competitors. 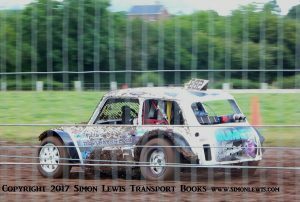 October: Fast forward a year to the 2017 Welsh Trial and the extremes of the aqua-robic Autograss and the baked-earth 2016 Trial were balenced out. 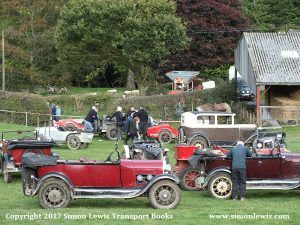 It was indeed muddy up on the Welsh-English border near Prestiegne, but not impossible and it made life tricky for the drivers , espeically of the larger cars. 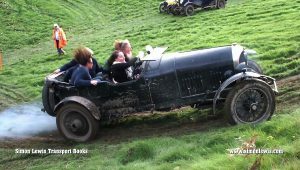 Austin 7s seemed to have little trouble but a 4.5 litre Bentley takes up a lot of room and takes a god deal of propelling up a steep muddy hill. 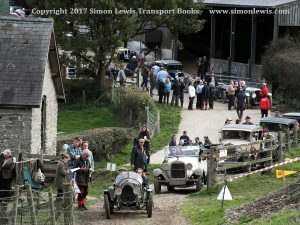 Sadly my girls, both rather fond of vintage car trials and always keen to cheer on the lady drivers, were otherwise engaged on the day of this one so missed out on seeing Harriet Collings’ 1925 Bentley (left) reach revs that surely would have made W.O. raise an eyebrow. Or Rebecca Smith needing her entire all-female crew (were there five crammed in there?) 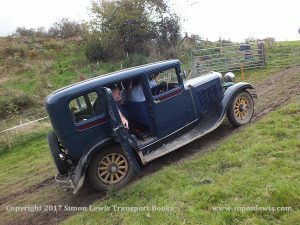 and several marshalls to get extricate her 1928 Model A Ford from a very deeply rutted bog. Getting through the last few sections ‘clean’ was quite an achievement this year and made the spectating so much more interesting in the process. You see? Sometimes the Weather Gods actually do get it right!